Before I was married and before I became a Mom, I basically ate the same thing most days and I’m actually getting emotional thinking about how GREAT I felt. It was simple, easy, planned. I ate the same thing most mornings for breakfast, brought the same snacks and lunches with me to work, went to the gym after work and then came home and ate the same thing for dinner most nights. 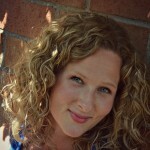 I’m a routine girl and I thrived in that. Then I got married, had 3 kids and things got complicated. I wanted to feed my family a variety of meals and my kids didn’t like what I used to eat (tuna and green beans for dinner, for example). Making elaborate grocery lists and buying 100’s of ingredients for all sorts of meals can be fun (if you’re into that), but it can also be expensive, time consuming and not healthy at all. I’ve been craving a more streamlined process. A simple grocery list that I use again and again. I want to make more time for what I enjoy and spend less time fussing in the kitchen or in the grocery store. I’ve been working hard on creating a reusable grocery list full of ingredients that I can use in multiple meals. 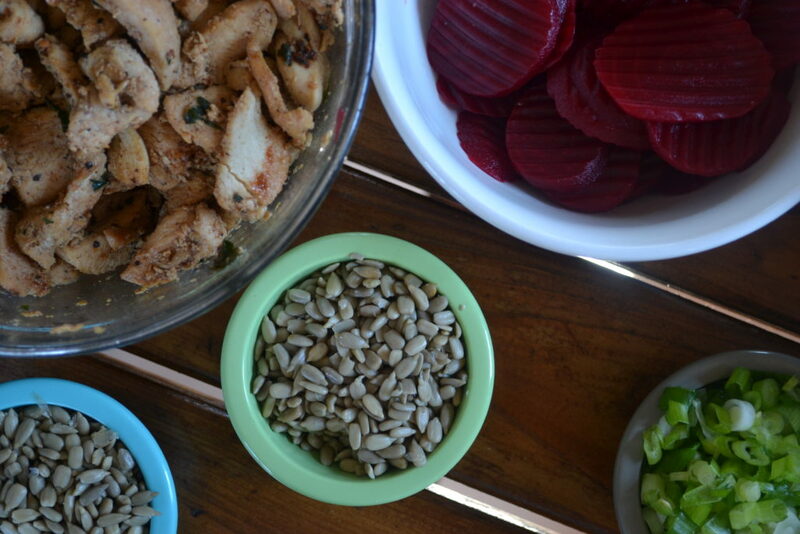 Today I’m happy to be sharing with you some key ingredients I like having on hand for incredible salads. With these, I could eat salad all week long. Take this list to the store with you, grab a big Costco sized carton of organic baby spinach and you’ll be set! 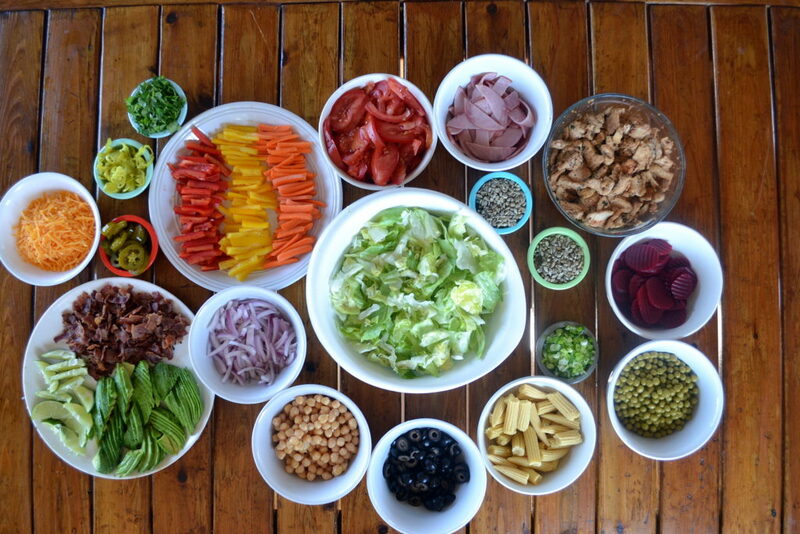 Here are 10 ingredients to always have on hand for the most delicious and interesting salads. These items will take your salads from BLAH and BORING to TOTALLY BOMB. Bacon, and I mean real bacon. We’re not talking bacon bits here- we’re talking the REAL DEAL. Sunflower seeds. I love buying mine in the bulk food section. Dried Cranberries. I love the No-Sugar Added variety from Graceland Fruit. 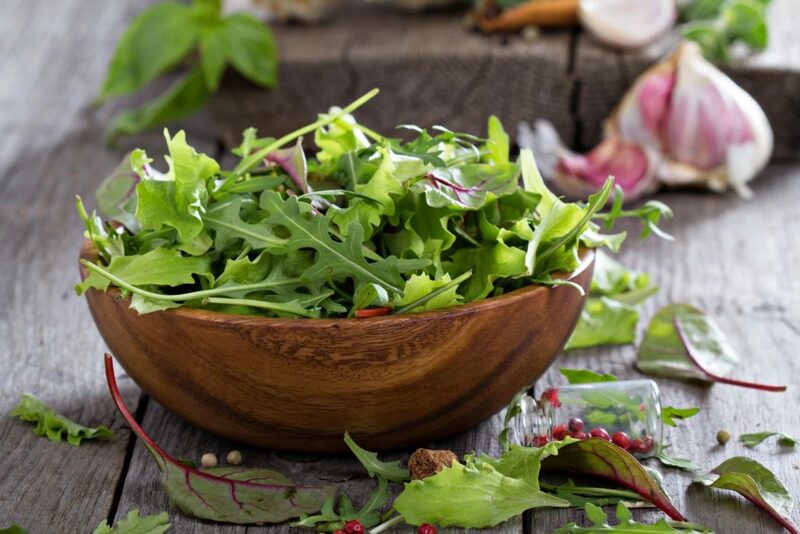 They add a delicious sweetness and a great texture to any salad. 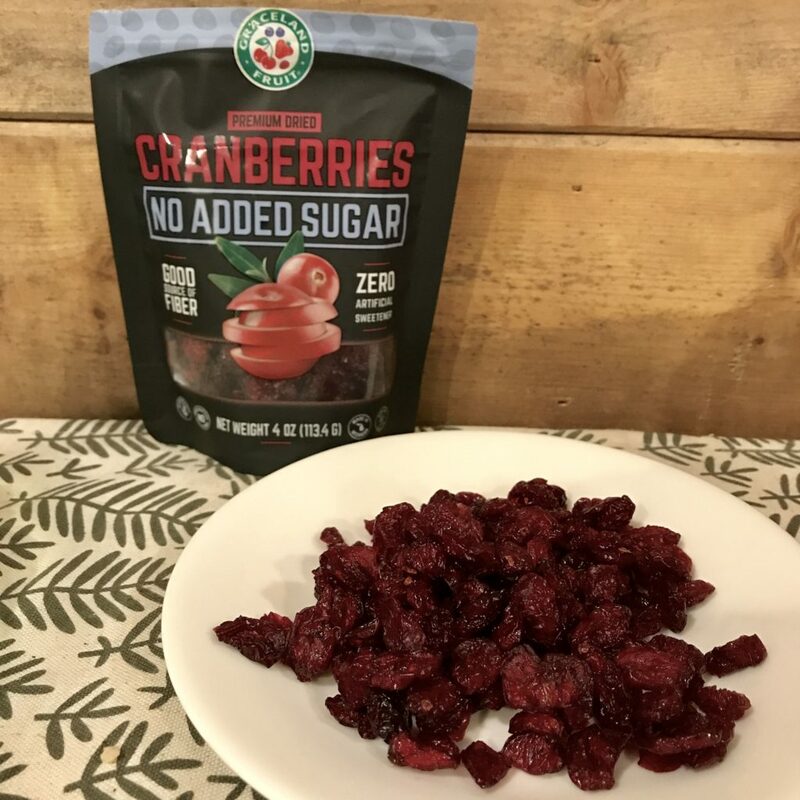 Graceland Fruit No Added Sugar Dried Cranberries provide a good source of fiber, contain no artificial sweeteners, and have 10 percent fewer carbohydrates and calories than those in conventional products. They also contain no artificial colors, flavors or preservatives and are non-GMO and gluten free. Parmesan cheese (or blue cheese). A little sprinkle of this takes any salad to a whole new place. Pickled jalapenos. Oh yes, these can’t be forgotten. Green onions. Regular onions can be overpowering, but green onions are perfect! Cilantro. This herb does wonders for flavor. Hard boiled eggs. Pre-boil a few on the weekend to have on hand throughout the week! 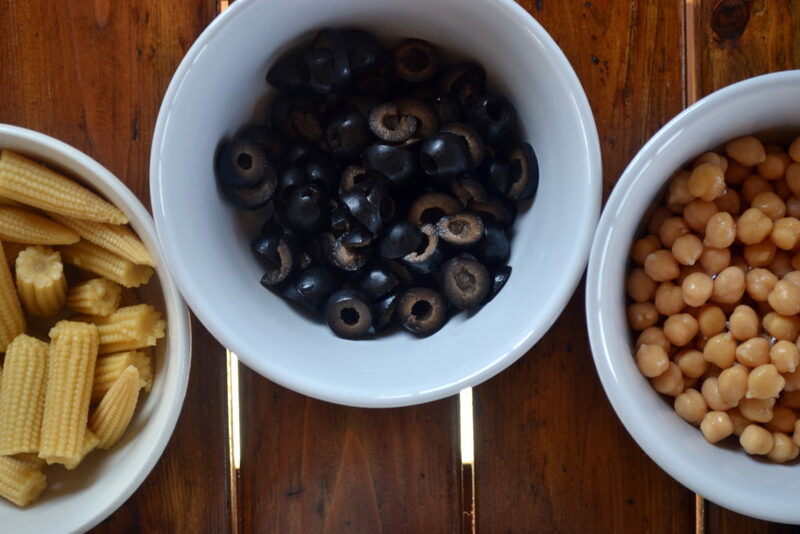 Canned olives. Oh yes, I LOVE olives on my salads! Pickled artichoke hearts, or any pickled vegetables. So good! 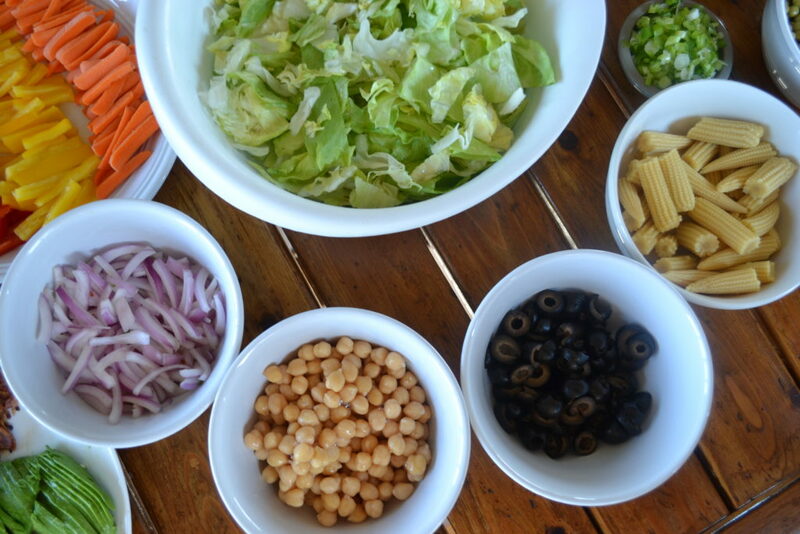 I’d love to hear some of your favorite salad ingredients. What do you try to always keep on hand?